In 2017, there were 705 million vacation days that went unused by America's workforce and the U.S. Travel Association thinks workers could use a rest and should be utilizing their paid-time-off to do so; and we agree! Oregon's Mt. Hood Territory is a fantastic place to spend any number of those vacation days visiting and exploring all there is to offer here. No matter the season we have the adventure or the relaxation you crave. The 2019 date for the annual National Plan For Vacation Day was Tuesday, January 29 so we encourage you to start planning your trips! 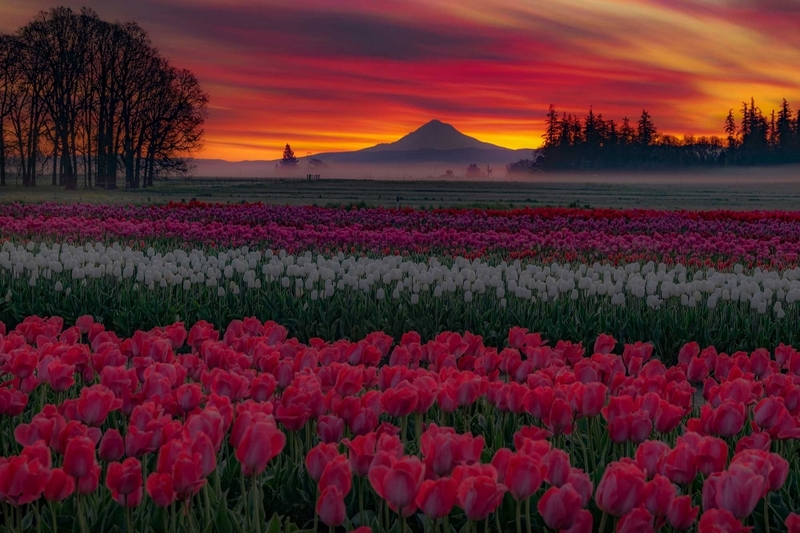 1) The Wooden Shoe Tulip Festival (March 23 - April 29, 2019) occurs annually and lures families from all over the world to witness the 40 acres of rainbow colored tulips. 2) Experience Oregon's largest gathering of paddlers at the annual Upper Clackamas Whitewater Festival (May 18 -19, 2019) or utilize the expertise of one of the many guides and outfitters in Mt. Hood Territory throughout the rest of the warmer months. 3) Our regions award-winning wines are fantastic year-round, but our wineries offer extensive events throughout Oregon Wine Month in Maywhere you can meet the makers, sample new releases and savor the deliciousness in their tasting areas. Utilize the Mt. Hood Territory Wine Trailmobile passport for special discounts. 4) Mountain biking on Mt. Hood has never been better with the upcoming addition of trails and lift-assistance at Timberline Lodge and the variety of terrain, fastest trails and lift-assist at Mt. Hood Skibowl. 5) Throughout June & July the amazing scent of lavender fills the air from the numerous Lavender Festivals in Mt. Hood Territory. In August everyone flocks to Swan Island Dahlias, which was named one of the 100 Best Destinations in Oregon, to their annual Dahlia Festival (August 24-26 & August 31 - September 2, 2019). It's a can't miss display of over 15,000 cut blooms plus acres and acres of dahlia varieties. 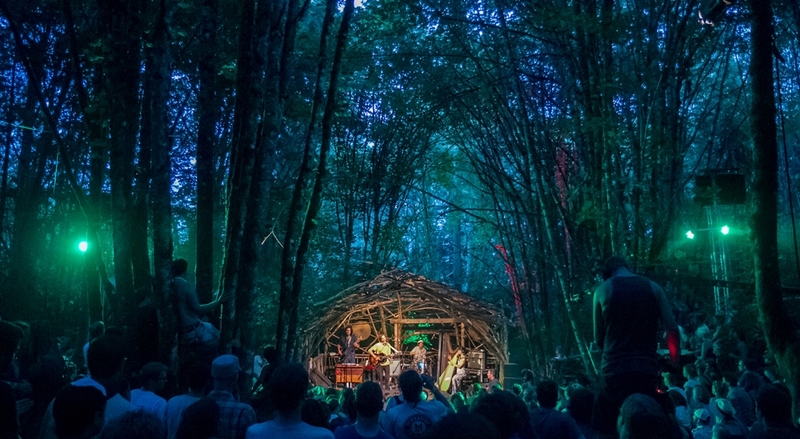 6) The one-of-a-kind indie-roots Pickathon Music Festival takes place annually (August 2 - 4, 2019) at Pendarvis Farm in Happy Valley. With a commitment to sustainability, the event appeals to the hearts of many Oregonians plus the music hits you all the way down in your soul; it's a pretty special few days. 7) Harvest Festivals and pumpkin patches are the flower of the Fall months in Mt. Hood Territory. With an abundance of farms to choose from, everyone can get their quintessential Instagram shot of them having found the perfect pumpkin for their porch. 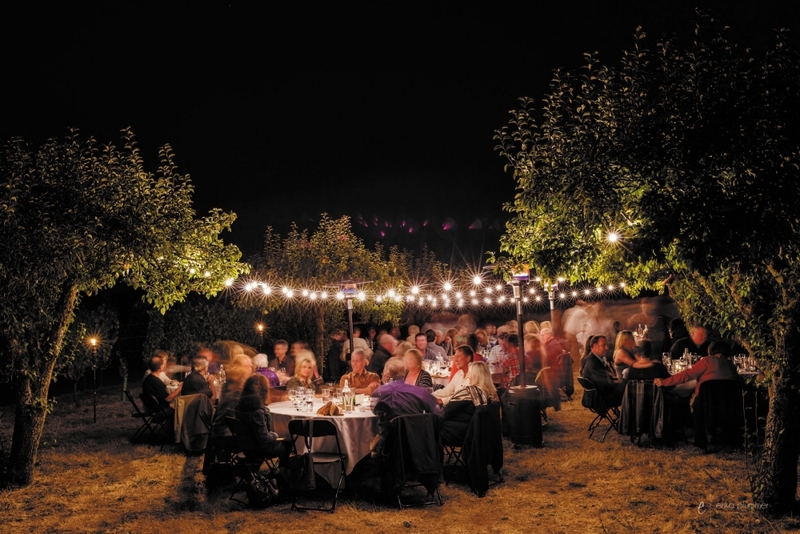 8) The wildly popular Dinners in the Field by Field & Vine hit the home stretch of their run come Fall, so its your last opportunity to experience the magic until Summer. Many of our animal farms and wineries serve as host venues during this season, making the multi-course meals even more enjoyable. 9) Mt. Hood Territory is at the forefront of the makers movement and our growing list of craft-brewers tops the list of innovators and collaborators. Explore our craft breweries, cideries and distilleries and use the Tap Trail mobile passport to get discounts along the way. 10) Take in a show at the theater, visit an art gallery and immerse yourself in our heritage at one of the many museums. They offer the perfect cold-weather activities for those who prefer to not brave the chill but still be entertained and enlightened. 11) Ski, snowboard and tube on Mt. Hood at Mt. 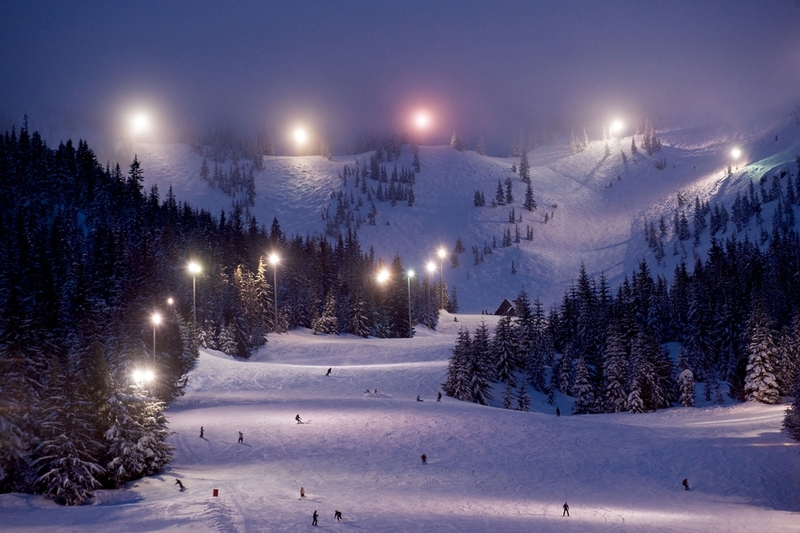 Hood Skibowl with the largest night skiing available in the country and their evening cosmic tubing, or enjoy the longest ski season in North America at Timberline Lodge & Ski Area. Both resorts offer top-terrain, fantastic events and appeal to your inner foodie to boot. 12) Get great deals on lodging by staying mid-week on or near Mt. Hood at one of the many vacation rentals, lodges and resorts. Bonus: your snow play will offer shorter lines, less congestion on the slopes, and easier parking. Whatever season you choose, visiting us is the right season, so get here already! And be sure to use our #omht hashtag on your social posts so we can see all the fun you have!